Jordanian oud virtuoso Sakher Hattar is one of the most significant Arab musicians of his generation. He teaches Arab classical and folk music at the Jordan National Music Conservatory. 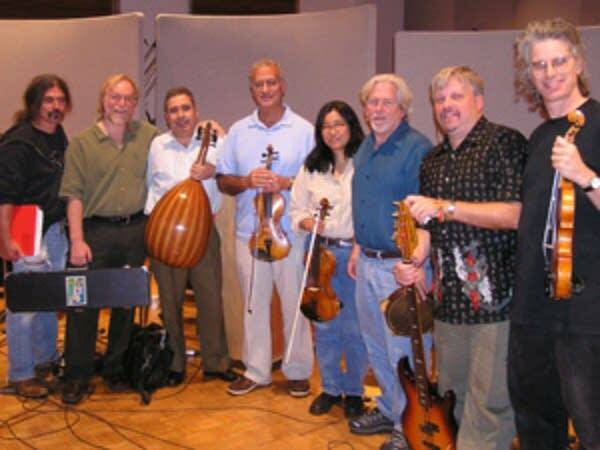 He was in the Twin Cities for a combination CD release concert and fundraiser at the Cedar Cultural Center, and teamed up with the local world music ensemble Crossing Borders for a visit in the studio with Dale and Jim Ed. Songs performed: "Mahtiyali," "Samai Nahawand," "Aziza," and "Redaha."